The NH State House has voted in favor of a budget that would raid $51 million of funding from New Hampshire’s renewable energy fund to close a budget gap. This move flies in the face of broadly supported, bipartisan clean energy policies that have supported hundreds of solar jobs in New Hampshire and brought millions of dollars of private investment into the state. This potentially disastrous move comes just as New Hampshire’s renewable policy was showing signs of progress – several bills attacking the RPS have been defeated this session, and the Governor’s left the renewable energy funds alone completely and balanced the budget using more responsible tools. The raid on renewable energy funds to plug holes elsewhere in the budget is not unprecedented in New Hampshire – previously over $16 million has been raided – but the amount the House has suggested is totally a whole other order of magnitude. Should this move be allowed to take place, it would wipe out all renewable energy rebates in the Granite State. The next step in NH’s budget process is to send the House budget to the Senate, and then on to committee of conference. The committee is tasked with getting the Governor’s budget aligned with the budgets of the Senate and House of Representatives, which are currently very out of sync. A final bill must be passed by June 25 by both Bodies, in order to be ratified by the Governor in time for the beginning of the July 1st fiscal year. What can you do? See https://legiscan.com/NH/bill/HB2/2015 to find out how your Representatives voted. 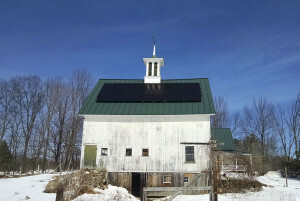 Then go to: http://www.gencourt.state.nh.us/house/members/wml.aspx, look up your legislators’ info, and let them know what you think of this attack on renewable energy funding! We encourage you to reach out to your Senators and to Governor Maggie Hassan directly; let them know that renewable energy is important to you and that there are other ways to balance the budget that don’t require wholesale appropriation of the renewable energy fund. Solar energy prices continue to decline, 8% decline just in this last year, and 50% from 2010. Solar energy rebates are still required to drive solar’s rapid growth, as it allows homeowners and businesses to leverage federal incentive programs and lock in electric rates below utility.